This Incident Report describes a case of arbitrary land confiscation by the Ka Ma Maung town administrator Saw Tha Klo Htoo. It occurred on May 14th 2017 in Section #2 (also known as Ohne Daw Section), Ka Ma Maung Town, Dwe Lo Township, Hpapun District. 107 acres of land were confiscated from the local community, affecting many Muslim households. 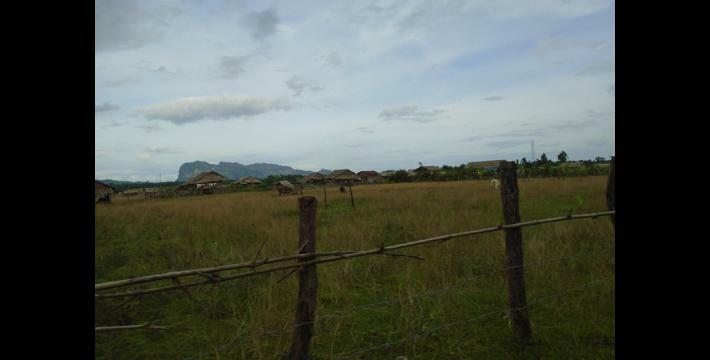 The land was then divided into plots 60 feet long and 40 feet wide, and sold for 300,000 kyat [US $224.15 USD] a plot. The following Incident Report was written by (1) a community member in Hpapun District who has been trained by KHRG to monitor local human rights conditions. It is presented below translated exactly as originally written, save for minor edits for clarity and security. This report was received in November 2017 along with other information from Hpapun District, including three other incident reports, nine interviews, one situation update and 165 photographs. I [KHRG researcher] heard about how victims of the fighting in Mae Thaw Waw were having trouble securing shelters in Ohne Daw Section, Ka Ma Maung Town. When I went to Ohne Daw to investigate and collect information about this issue, I also learned about the land confiscation. [I interviewed a villager whose land had been confiscated, Saw B---.] He told me that “They [the Village and Section #2 administration manage the land] on their own. They signed [the document about the land confiscation] themselves and then Aung Moe Hein from the Myanmar Land Department submitted it [to the higher-up authorities]”. [Saw B--- shared his perspectives on the land confiscation and told me who was responsible]. An instance of arbitrary land confiscation occurred on May 14th 2017 in Section #2 (also known as Ohne Daw Section), Ka Ma Maung Town [Dwe Lo Township, Hpapun District]. The villagers whose land was confiscated are: Daw C---, Daw D---, Daw E---, Naw F---, Ma G---, Daw H---, U I---, U J---, U K---, U L---, Saw B---, U M--- and N---. Saw Tha Klo Htoo, the Ka Ma Maung town administrator, is responsible for confiscating the land. He confiscated this land to remove a Muslim community from the centre of the village. 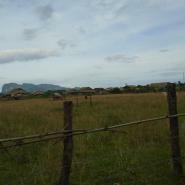 The confiscated land was then sold to [other] villagers. Each plot of land was sold for 300,000 kyat [US $224.15 USD]. Each plot was 60 feet long and 40 feet wide. In total, 107 acres of land were confiscated in total. Saw Tha Klo Htoo issued a directive on May 14th 2017 to confiscate these 107 acres of land. 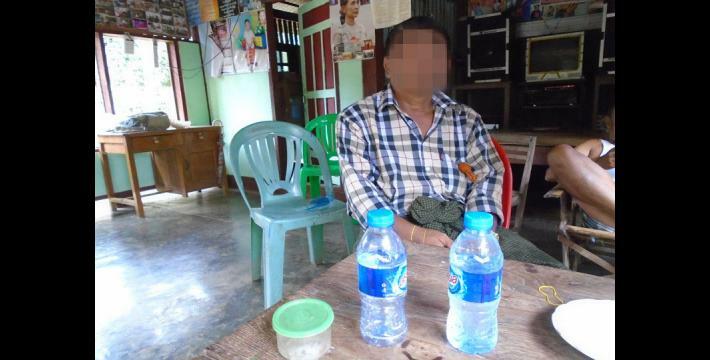 U Khay Mi and Saw Tha Klo Htoo were responsible for carrying out the land confiscation. Saw Tha Klo Htoo then sold this land to people from the neighouring villages of Myin Ma, Kyun Daw, Baw Kyoh Lel, P’Lan Taung and Kwin D’La. In April 2017, the representatives of the Land Management Committee of Hpapun Township came to Section #2 in Ka Ma Maung Town. They met with villagers whose land had been confiscated. However, they did not do anything to resolve this issue. Instead, they told the local community that reporting this case to higher authorities and attempting to get the land back would be very expensive. The committee told local villagers that it was up to them to decide whether they would like to go through such a costly process. After this visit, no further actions were taken by the villagers to get their land back. Although they wanted to fight for their land rights, they did not know what further steps they could take. Therefore, they felt that getting their land back was helpless. This is not the first time that the land in question was confiscated. Before the land was confiscated in May 2017, the land had previously been confiscated by the monk U Khay Mi Ka (also known as U Khin Maung Win) and the Democratic Karen Buddhist Army (DKBA). With the formation of the DKBA in 1994, the land was gradually taken from the local community. It was used to establish the Ohne Daw village. I interviewed Saw B---, [one of the villagers whose land was confiscated], who gave permission to use this information.